Top Marketing Agency Website Audits are like deep medical checkups for your account. With our audit you will find out where your website can be improved, with detailed information and actionable advice on how to deliver better SEO results. Get it for just $1,250 free for a limited time and be on your way to improving your websites performance. Our audit is designed for companies that have an established business and live website, with the average company spending between $3,000 and $50,000 per month in online marketing. Our report is FREE and there is not commitment, the only thing you have to do is carefully review your audit report with one of our SEO analysts and act on the information you find in the report. Of course, we will be happy to help if you decide to hire us but you don't have to. How to Get an Audit? 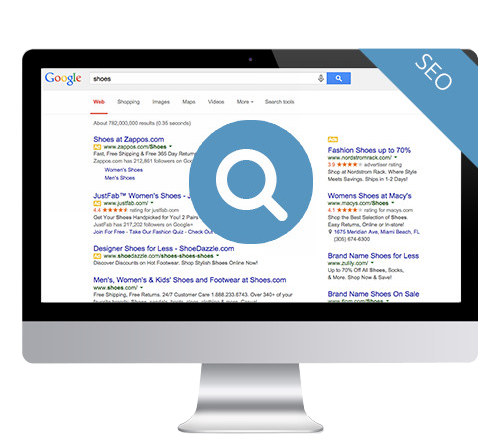 One of our experienced SEO Analysts will working directly with you on the website audit report. We don't plug your account into some software that gives you cookie-cutter results but instead our SEO Analyst is assigned to your account and will manually review every part of the report with you. Our reports contain actionable advice on how to improve your website and fix any errors or issues that may exist. Due to the manual intensiveness of the report, it usually takes us several hours to put together the report and we can review it with you within 1-2 days. It depends on the audit findings as well as several factors. (1) On whether you are ready to critically and impartially review your website SEO report. (2) On whether you are ready to act upon the knowledge you receive from the audit and have the proper support to implement the changes necessary. (3) On whether you are serious about your business. If the answer to these questions is yes, then the audit will definitely help. Afterall, we will be providing a ton of impartial information from our SEO experts, as well as actionable advice on how to improve your SEO, which you can start applying right away. With over 1 million leads generated, we know what we are talking about when it comes to SEO, just ask our clients. This audit report is FREE. Why you ask? We've found that it's a good way to provide you a way to check us out, our thoroughness and our experience without having to make a commitment. This makes it a great way for us to get introduced to new businesses that would not know about us otherwise, so it's a win/win. But keep in mind, we still treat the audit as if it is a paid SEO audit report, putting several hours into creating the data and reviewing it with you. So expect some eye opening findings! Just fill out the form on this page or call us at (888) 843-9840 and we will get started on your Website SEO Audit right away!